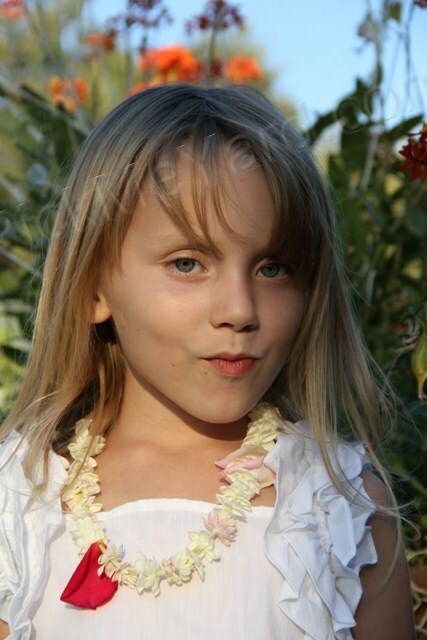 Loring has been asking me to make a necklace out of flowers with her for quite some time. I always promise, but don’t follow through. Yesterday I dropped what I was doing and said, “Let’s make that lei”. We collected a bowl full of our edible jasmine flowers. They have a perfect little hole in them when they’re picked. I threaded a needle for Loring and let her do the rest. 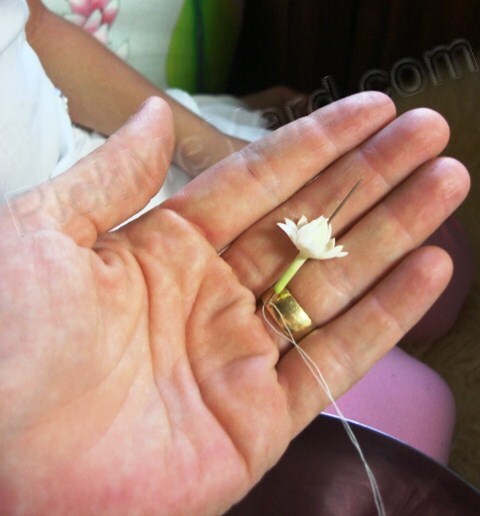 She had no trouble sewing the flowers into a necklace all by herself. Check out the Crafting Chicks blog for an adorable lei project that can be done with straws and paper with kids. 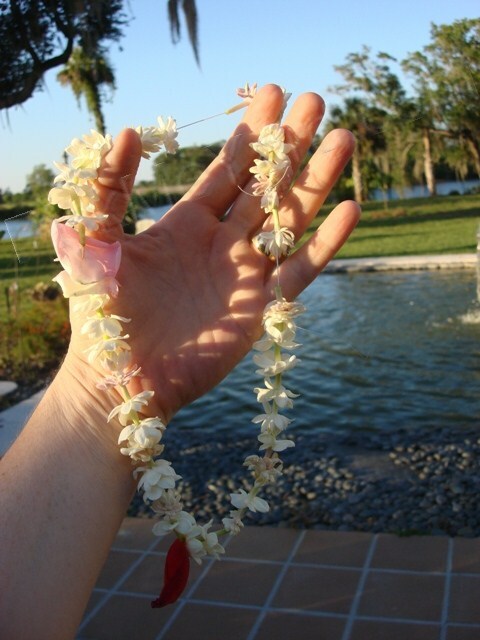 The jasminum sambac flowers are perfect for stringing a homemade lei. This is the ‘Maid of Orleans’ variety of jasmine. Loring is sewing her lei and singing gleefully. Although, she was really concentrating when I took the photo. Loring and her homemade Lei. Sometimes we really do need to stop and smell the flowers!